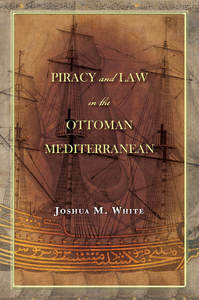 Piracy and Law in the Ottoman Mediterranean. Stanford: Stanford University Press, 2017. “Piracy of the Ottoman Mediterranean: Slave Laundering and Subjecthood.” In The Making of the Modern Mediterranean: Views from the South, edited by Judith Tucker, 95-122. Berkeley: University of California Press, 2019. "Litigating Disputes over Ships and Cargo in Early Modern Ottoman Courts." Quaderni Storici 51, no. 3 (2016): 701-25. “‘It is Not Halal to Raid Them’: Piracy and Law in the Seventeenth-Century Ottoman Mediterranean.” In Corsairs and Pirates in the Eastern Mediterranean, 15th-19th c., edited by David Starkey and Gelina Harlaftis, 77-94. Athens: Sylvia Ioannou Foundation, 2016. “Fetva Diplomacy: The Ottoman Şeyhülislam as Trans-Imperial Intermediary.” Journal of Early Modern History 19, no. 2-3 (2015): 199-221. “Shifting Winds: Piracy, Diplomacy, and Trade in the Ottoman Mediterranean, 1624-1626.” In Well-Connected Domains: Towards an Entangled Ottoman History, edited by Pascal Firges, Tobias Graf, Christian Roth, and Gülay Tulasoğlu, 37-53. The Ottoman Empire and Its Heritage 57. Leiden: Brill, 2014. American Research Institute in Turkey (ARIT)-NEH Research Fellowship, 2013. 2012 Arthur Fondiler Award for Best Dissertation in History, University of Michigan (U-M). 2012 ProQuest Distinguished Dissertation Award Honorable Mention. Mellon/ACLS Dissertation Completion Fellowship, 2011-2012. H.F. Guggenheim Dissertation Fellowship, 2011-2012 (Declined). CAORC Multi-Country Research Fellowship, 2011. U-M Rackham International Research Award, 2010. Fulbright-Hays Doctoral Dissertation Research Fellowship, 2008-2009. ARIT Department of State Fellowship, 2008. Title VI FLAS Fellowships (Turkish, Persian), 2006-2008. CASA Full-Year Fellowship in advanced Arabic at American University in Cairo, 2004-2005. I teach undergraduate and graduate courses on the history of the medieval and early modern Middle East, Ottoman Empire, and Mediterranean world. As a member of the third cohort of the UVA College Fellows, I am teaching exclusively in the new college curriculum through Fall 2020, offering an Engagements course for first-years, EGMT 1540: The Ethics of Piracy, from the High Seas to Torrents. Ottoman History Podcast episode on Piracy and Law in the Ottoman Mediterranean, with Chris Gratien, Susanna Ferguson, and Taylor Moore, posted September 16, 2017. Jadaliyya NEWTON interview on Piracy and Law in the Ottoman Mediterranean, posted March 16, 2018.